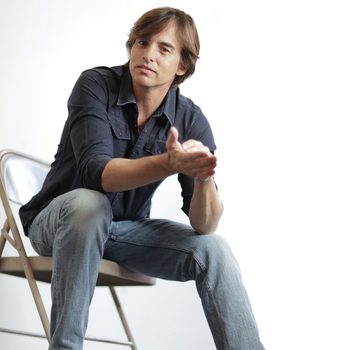 The CMA Music Festival kicks off this weekend in Nashville, but country singer Keni Thomas will miss it for an out-of-town gig — way out of town. Mr. Thomas has accepted an invitation to sing the U.S. national anthem Sunday in the French village of Sainte-Mere-Eglise for the unveiling of the Allied Paratrooper Monument — marking the 70th anniversary of the D-Day campaign that secured the defeat of the Third Reich during World War II. “This is really our last chance to say ‘thank you’ to those who served our country during D-Day. For me, it’s an honor, having actually worn the boots and knowing what those guys and those women did back then,” he says. Sainte-Mere-Eglise, on the Normandy coast, was one of the first towns to be liberated by U.S. troops in the D-Day invasion. Mr. Thomas has a personal tie to D-Day, because the Rangers led the way in the invasion. His father, retired Army Col. John Thomas, also a Ranger, will accompany him on his trip to Sainte-Mere-Eglise. Advancing to the rank of staff sergeant before his discharge, Mr. Thomas was assigned to a unit that participated in “Operation Restore Hope” in Somalia and was involved in the battle detailed in the book and movie “Black Hawk Down.” He received a Bronze Star for valor. As a motivational speaker, Mr. Thomas speaks nationally about the leadership lessons provided by his military service and the events surrounding “Black Hawk Down” — the 1993 Battle of Mogadishu in which Somali rebels killed 19 Rangers in an hourslong firefight after shooting down two Black Hawk helicopters. He highlights those lessons in his book, “Get It On: What It Means to Lead the Way,” and his music, including songs on his new album “Give It Away,” which will be released June 24. His travels around the U.S. have convinced him there’s a groundswell of patriotism throughout the country, he says. “We had patriotism in spades in the early 2000s. Then it faded away, but it’s coming back now. It’s a real groundswell,” Mr. Thomas says, noting media attention on matters such as the VA health care crisis spark even more interest. “There are real challenges and real issues. Just because you didn’t hear about them didn’t mean they weren’t there.